A new report published by the American Highway Users Alliance details all of the worst bottlenecks across the country, making it the perfect tool for avoiding traffic this weekend. 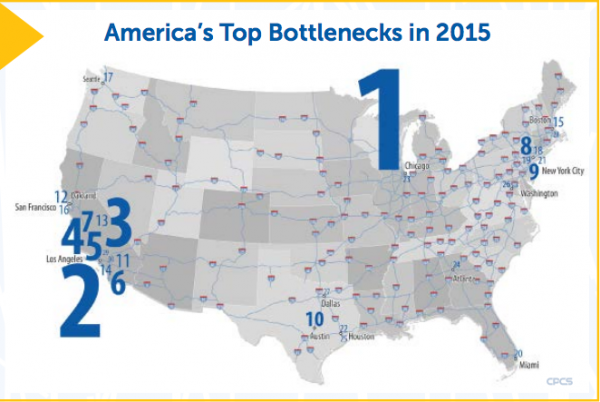 Predictably, Los Angeles makes a number of appearances on the list of worst roads for bottlenecks, along with many other metropolitan areas, but it is unseated at number one but a section of I90 in Chicago, Illinois. No one wants to be stuck sitting in traffic all thanksgiving, so this list couldn’t have come at a better time for drivers across the country. Thanksgiving is one of the most dangerous times to drive in the United States, so take some extra care this year, and don’t drive drunk or distracted. To read the report, check it out here.